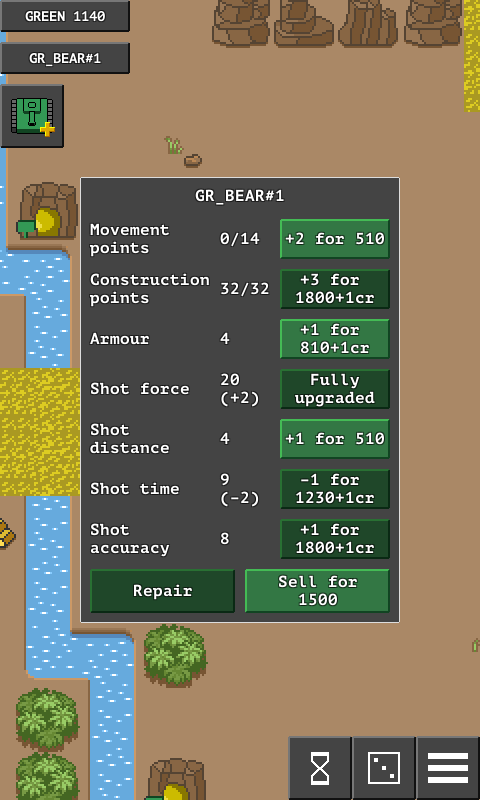 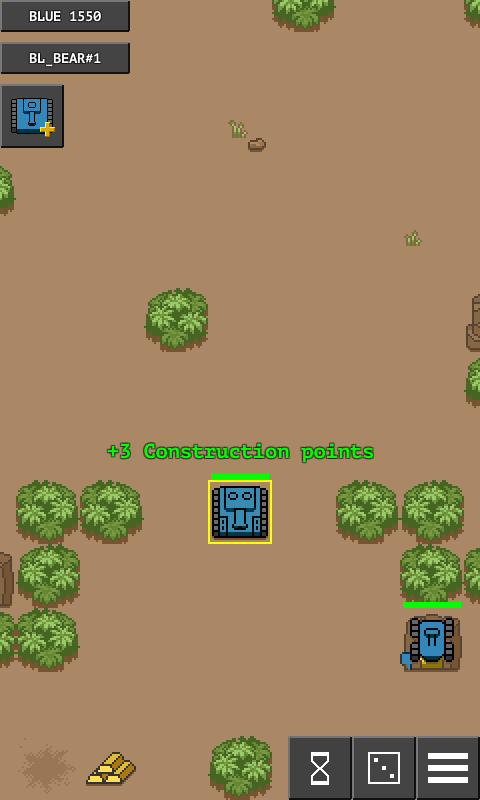 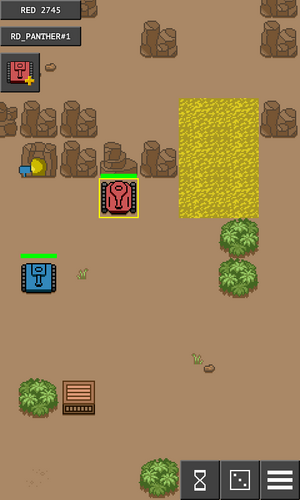 A turn-based war strategy with tanks where you need to destroy all enemy bases and protect yours. 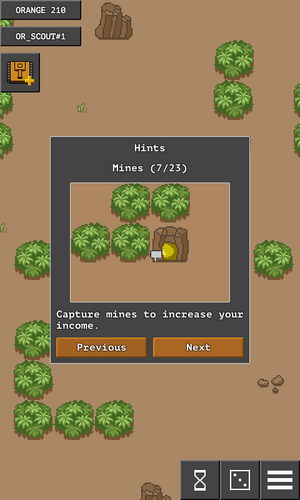 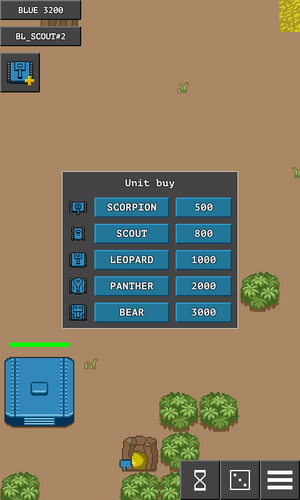 Buy units, collect gold, capture mines and attack enemies. Choose your own tactics and plan every action. The game originates from a board one, therefore it simulates dice rolling. It has been developed for about a year and participated in the Finally Finish Something jam. 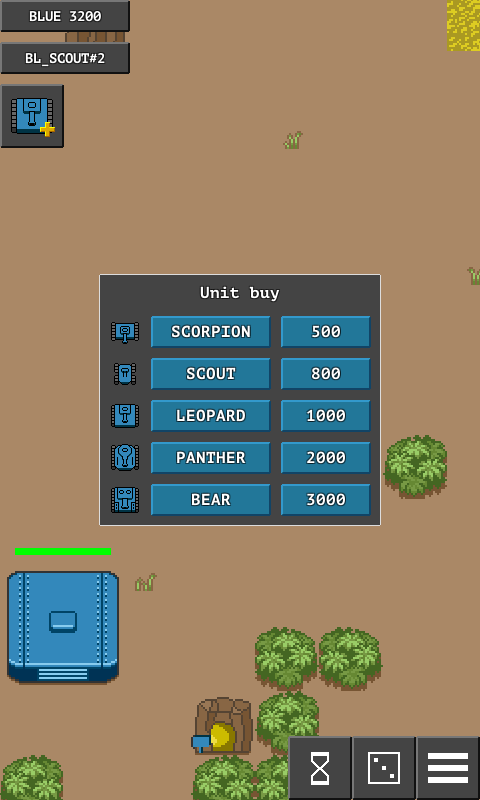 Also available on Google Play.